Join pianist and Gershwin authority Robert Wyatt, co-editor of Oxford University Press’ The George Gershwin Reader, in this lively program exploring George Gershwin’s life and legacy. The evening includes live performances of the solo version of Rhapsody in Blue, early and unpublished music, the piano improvisations and other Gershwin hits. Rare film footage obtained from the Gershwin family is projected, along with unpublished photographs of the composer and his friends. 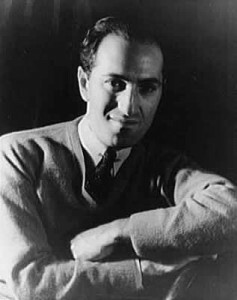 Archival recordings of his 1932 – 33 radio programs, Music by Gershwin, are also featured.